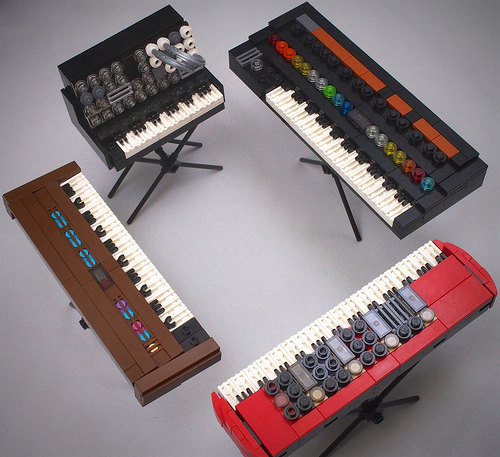 New York based musician and LEGO builder Andy Grobengieser recently began creating miniature versions of iconic music synthesizer keyboards, starting with the classic Mini Moog, and his latest collection showcases four models that any synth geek should immediately recognize: the Korg MS-20, Roland Jupiter-8, Yamaha DX7, and Nord Stage. 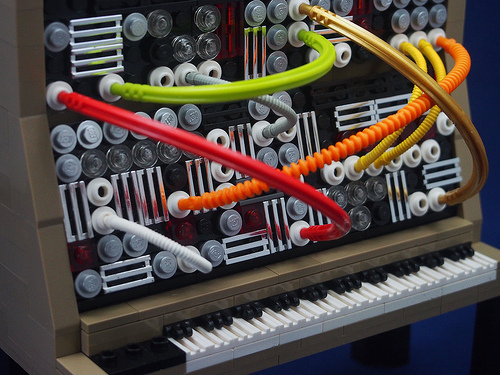 Most of these instruments herald from a “golden age” of synthesizers, and each had it’s own unique sound. Of course, no two synth enthusiasts would ever completely agree on which models had the greatest influence on the sound of 70s and 80s music. But I felt that Andy’s collection was missing one significant entry, a device that brought the term “sampling” into everyday use, and was central to work of cutting-edge artists like Peter Gabriel and Kate Bush. 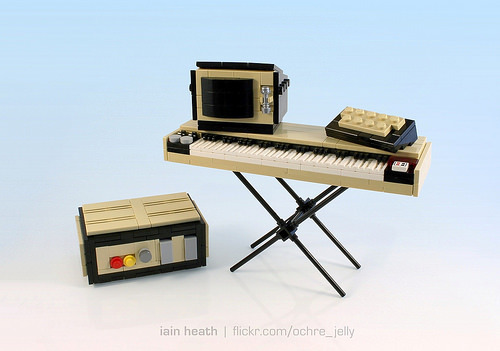 I present to you… the Fairlight CMI!